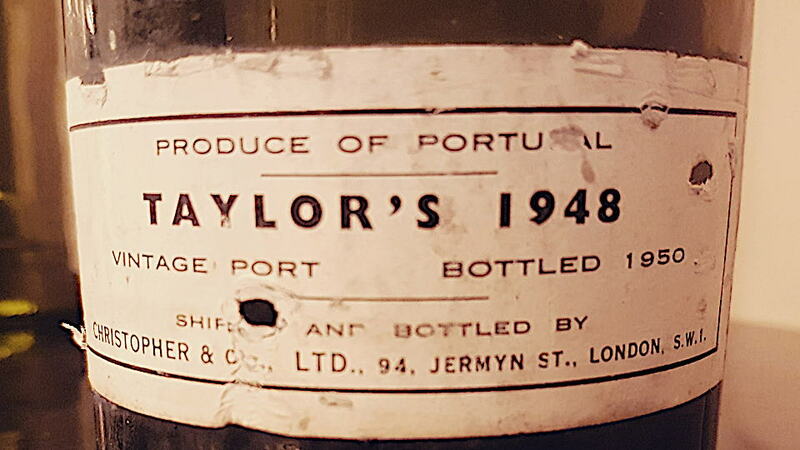 There is Vintage Port and then there is the 1948 Taylor Fladgate. It remains a monumental Port that towers over the 20th century. Nineteen forty-eight is perhaps one of the lesser-known declarations compared to 1945 and 1963, although nine houses declared that year. Michael Broadbent described that as an “error of judgment” given the quality of the vintage in retrospect. I have been fortunate to taste the 1948 Taylors on several occasions, encountering one or two perfect bottles along the way. “Christopher & Co” bottled my most recent encounter in 1950, British merchants bottling a lion’s share of production in those days. With the recent declaration of the 2016 vintage, the 1948 serves as a timely reminder of the heights Vintage Port achieves with age. Deep in color, it appears more twenty-years old than seventy. The bouquet is exactly like the previous bottle in 2015, soaring from the nose with opulent raspberry, blackberry, clove, sage, vanilla and Medjool dates, perhaps this bottle more floral than others. The aromatics just feel exuberant and vivacious. The palate is beautifully balanced to the point where you barely notice the power locked inside this multi-faceted fortified. Red and black fruit, orange rind, cracked black pepper and smoke, later fig and a hint of cassis. The purity makes this so ethereal and the finish has been abraded by the passing decades to create a sense of harmony that only time and not winemaking can create. No doubt that well-stored bottles will reach the century mark and still be going strong. Broadbent suggested that the 1948 stands as one of the greatest Vintage Ports ever made. Of that, I am in no doubt. 100/Drink 2018-2048.